The malady, common among political leaders who commit heartless crimes while craving popular adulation as heroes and misunderstood saints, is ‘Political Munchausen Syndrome by Proxy’ (PMSP). PMSP best explains the pathologic drive of politicians and policy makers who inflict relentless, systematic mass destruction and then intervene in a most theatrical manner to save a few victims – thus drawing gratitude from the victim and public support for their ‘humanitarian intervention’ – ignorant of their fundamental role in creating the mayhem in the first place. The actions of the outgoing President Barack Obama in the last three days of his administration present an example of PMSP on the domestic front. Throughout his eight years as President of the United States , Obama exhibited many symptoms of PMSP – both abroad and in the US . For his cynical crimes, he was awarded the ‘Nobel Peace Prize’ among other honors. 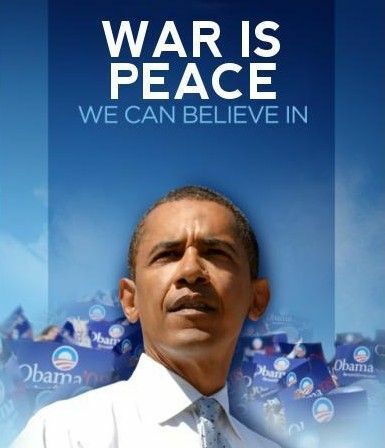 Each of Obama’s relentless military interventions, including Libya , Somalia , Yemen , Iraq , Afghanistan and especially Syria , were characterized by the deliberate and total destruction of the means of normal civilized social existence for defenseless civilians – the bombing of homes, factories, markets, weddings, funerals, schools, hospitals – leading to the deaths of many thousands and the uprooting of millions into desperate flight. In each case, Obama would proclaim that he was saving the victims from imminent genocide by an abusive ruler or ethnic group. He would rush in to provide a few baskets of relief and a few blankets to some bedraggled survivors of his own bombing campaigns and bask in the glowing praise of mass media propagandists and fellow imperialists. Choreographed applause and adulation would seem to follow America ’s First Black Presidenteverywhere. Obama’s bombs, arms and mercenaries drove hundreds of thousands of families into the streets, into the mountains and most horrifically onto rickety, overloaded boats on the seas. In each series of destruction and chaos, he would calculate the point at which his ‘humanitarian intervention’ would most effectively reflect on his heroism. He destroyed the entire nation of Libya, shredded its institutions and infrastructure, bombed its cities and villages, even deliberately sending a deadly missile into the home sheltering a half dozen of President Muammar Gadaffi’s small grandchildren and finally ended up with the public death by torture of the wounded Libyan president sodomized by stakes documented in a imperial-pornographic snuff film that should have revolted the entire world. That the main victims of Obama’s ‘liberation of Libya ’ were hundreds of thousands of black Libyan citizens and sub-Saharan African workers did little to detract from his public persona as the first ‘African American’ world hero. The capsized boatloads of fleeing black Libyans and the bloated bodies washing ashore on the beaches of Spain and Italy were never linked to the criminal policies of our Nobel Prize recipient! He even urged Europe to accept the miserable refugees fleeing his war – in a gesture of supreme PMSP. He could do no wrong. This serial political killer had an unquenchable thirst for sympathy and admiration – and a wholly corrupt propaganda machine to polish his halo. In his last few days in power, Obama turned his ‘heroic and humanitarian’ attention to individual American victims of grotesque injustice in our bloated and racist prison system – just to prove that the great man could ‘set up’ and then save individuals as well as nations. 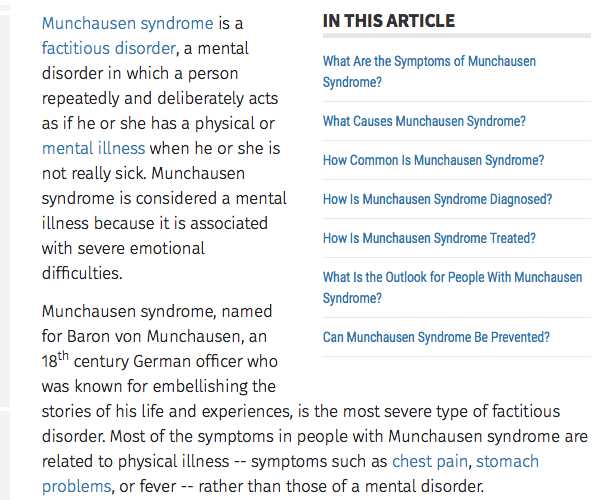 The cold, calculus of the Munchausen Syndrome by Proxy President finally focused on the fragile form of the imprisoned and tortured Chelsea Manning – hero to millions and condemned traitor to the empire’s ruling elite. For eight years, Barack Obama pursued the arrest, torture, kangaroo court-martial, virtual life sentencing and prison mistreatment of the US soldier who had dared to expose large-scale war crimes in Iraq and Afghanistan and release thousands of damning documents of systematic political war crime hidden from her compatriots. She released videos of US pilots playing ‘execution games’ against a crowd of defenseless Iraqi civilians, including children, as well as equally egregious war crimes elsewhere. Obama and his fellow war criminals were furious at Manning’s revelations – and approved of her sentence of 35 years, some of which had been served before her conviction in solitary confinement, often stripped naked – in a condition described by the United Nations as torture and inhumane treatment. After her conviction, she was harassed and driven to multiple attempts to take her life. After seven years of brutal and degrading treatment, spanning almost the entire Obama Administration, the condition of the frail transgender soldier-hero, almost a martyr to truth and justice, her supporters and the world community were desperate with concern for her safety, survival and sanity. At this point, and in the last three days of her administration on January 17, 2017, Obama ‘commuted Manning’s sentence’ but left it to the incoming Trump Administration to free her five months later in May. Instead of celebrating the liberation and vindication of the hero Chelsea Manning in May, the media drowned out the plight of the frail tortured whistleblower with its loud tributes to the mercy and heroism of the serial abuser – Barack Obama. In his last days, Obama played the ‘Merciful Pasha’ commuting Manning’s virtual life sentence – which he still justified. Obama did so in a way that literally begged the incoming rabidly reactionary regime of Donald Trump to rescind the commutation or at least impose such levels of torture and pressure on Manning that her very survival and sanity in prison up to her scheduled release in May will be in grave jeopardy. The most virulent militarists in the US Congress, including the war criminal John McCain, are howling for Manning’s head. While they will torture Manning during the next 5 months behind thick prison walls, the press will compare the vindictive Trump with the benevolent Obama. This is a cynical ‘set-up’ for our hero, Chelsea Manning to be driven to suicide by Trump while her ultimate persecutor, the ‘saintly’ Barack Obama will ‘shine’ for having issue the belated commutation. Obama could easily have released Manning earlier and spared her this mortal danger – but he chose to tie the poor prisoner to a stake – under the blood-lusting noses of our most sadistic militarists – and invite their public display of savagery. In one very self-glorifying pronouncement, three days before leaving office, Obama has sanctified himself at Manning’s expense and insured Chelsea ’s destruction. This is virtuosic Political Munchausen Syndrome by Proxy by a true master!